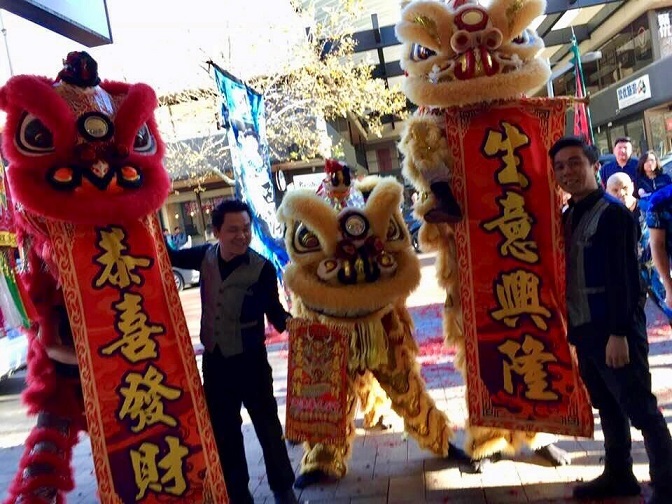 The Chinese Community Centre Lion Dance troupe performed at the grand opening of the Little Kitchen House Restaurant. The owners of the new restaurant are also owners of the Fortune Five Restaurant next door, so its great to know that our existing customers are enjoying great success in their business, allowing for expansion. The troupe performed a 3 lion, lion dance performance at the grandopening which also featured a large firecracker display. The troupe would like to congratulate the owners of the Little Kitchen House Restaurant, and we wish you the ever ongoing success of your business ventures.